I fell in love with Westgate early in 1970, when I discovered that apartments were being built overlooking West Bay, which promised an incomparable view over the sea. As soon as they were completed, I moved in and have remained there ever since. That view never fails to lift my heart. I became churchwarden of St Saviour’s Church in Westgate Bay Avenue in 1993 and it was then that my fascination with the history of the town began. My duties included keeping the church inventory and, as I checked inscriptions and documents, I discovered so much of interest. I also found archives which had lain undisturbed since the church was built in 1884. I also discovered that almost nothing had ever been written about the town’s history. When I retired in 1995 I registered at the University of Kent to read for a higher degree by research and thesis – the subject was “Westgate-on-Sea 1865-1940: Fashionable Watering Place & London Satellite, Exclusive Resort & a Place for Schools.” After four years of most enjoyable research, which took me to seaside towns all over England, I was awarded a Ph.D in 1999. I founded the Westgate Heritage Centre as a result of interest shown by both residents and visitors in the history of our town. Its history is short – only just over a century and a half – but it is packed with fascinating stories, for it was the home of many well-known people. Now the Heritage Centre has a membership of over 240 people. Monthly talks in St Saviour’s Church attract, on average, audiences of 90-100+. We have a large collection of material available for public use and many aspects of the town’s history have been covered in the literature written over the past few years. We try to keep up to date with new ventures by recording them in our files, for what happens today is soon history. 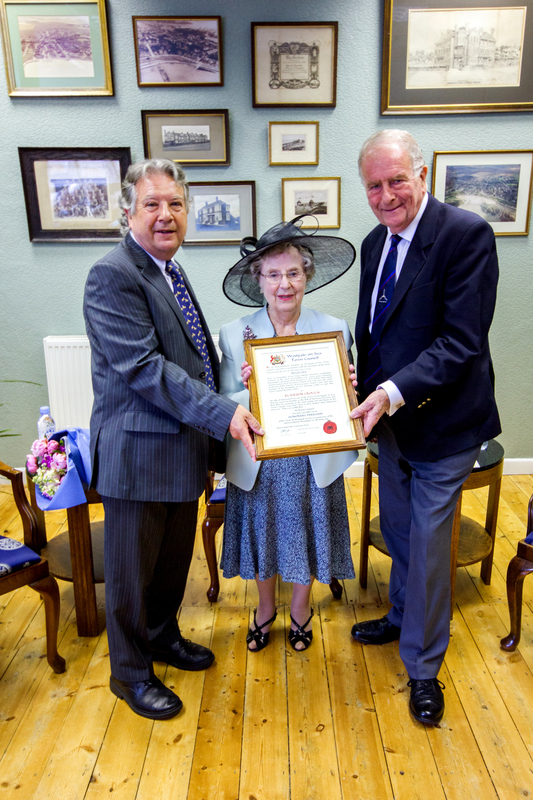 On 25th June 2016, surrounded by my friends, I was honoured to be made the first Honorary Freeman of Westgate-on Sea by the Town Council for services to the town – I can drive my sheep over the railway bridge without let or hinder!